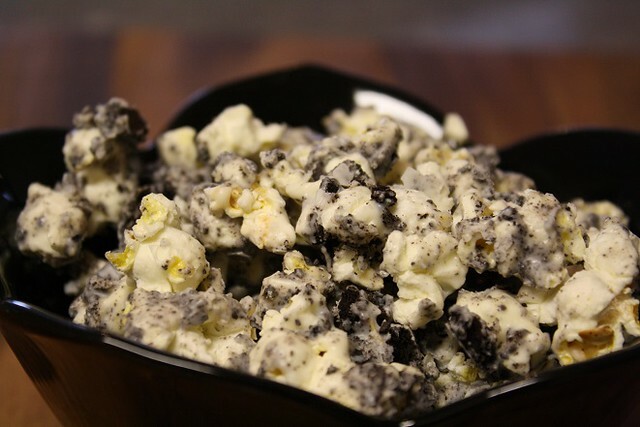 You won’t believe how quickly this Cookies and Cream Popcorn comes together with just 3 ingredients: about 20 Oreo Cookies, 24 ounces of Vanilla Flavored Almond Bark, and Popping Corn (I used 6 tablespoons of popping corn to get 9-10 cups of popped corn. 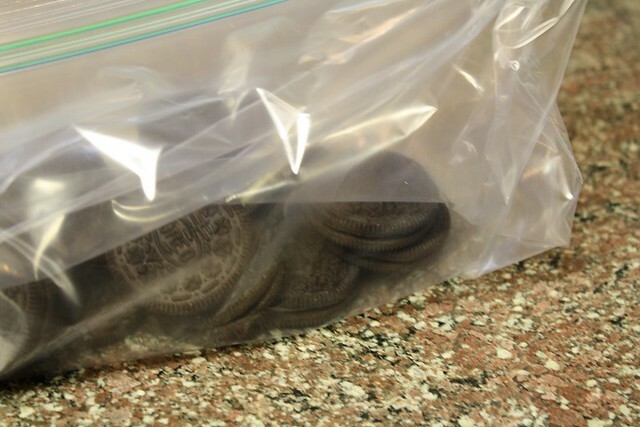 Begin by placing the 20 cookies in a plastic bag. 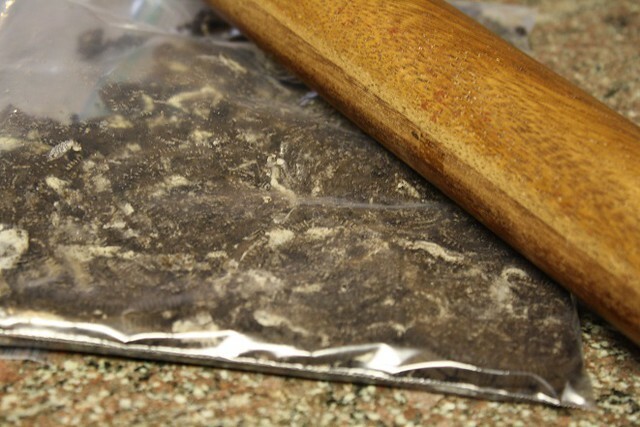 Then use a rolling pin to hit against the bag to crush the cookies without making a mess. Love that! Next up it’s time to pop the popcorn. 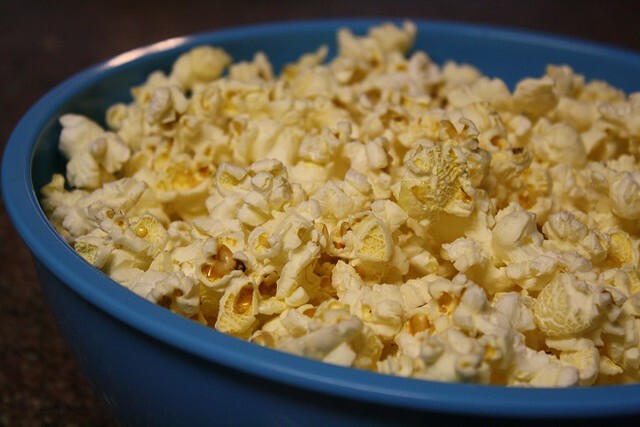 I used my air popper and popped 3 tablespoons of popcorn at a time. I found 6 tablespoons yielded about 9 to 10 cups of popped corn. You could just stop here, but today we’re going to kick this popcorn up several notches. 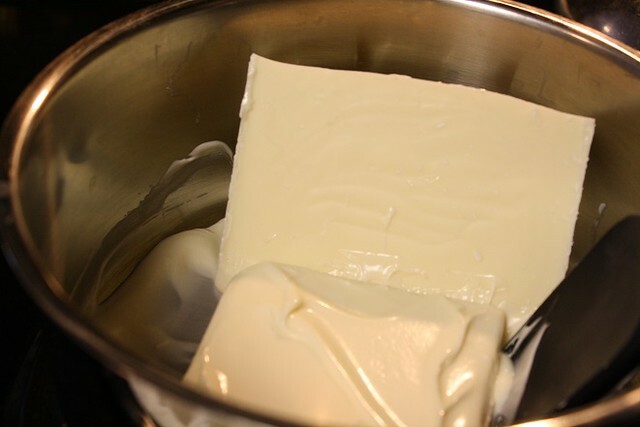 In a saucepan over low heat, I started to melt the 24 ounce block of almond bark. 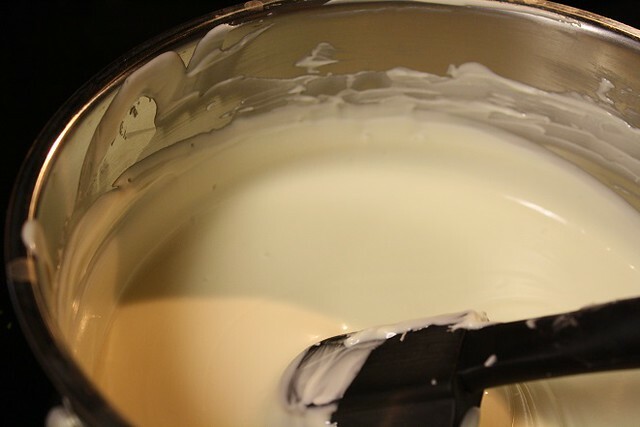 Then continue melting until it’s a smooth, delightful mixture. 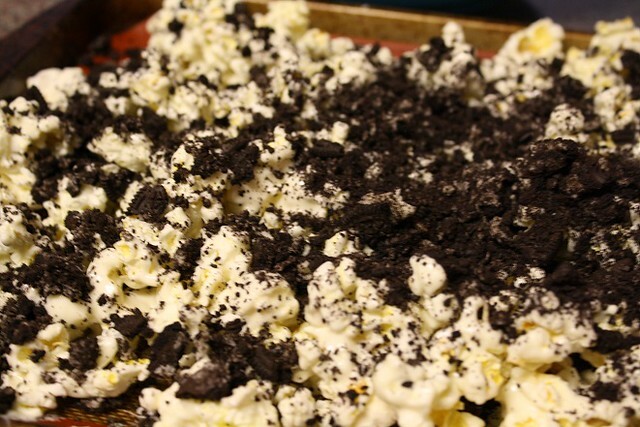 I used a cookie sheet with sides and lined it with a Silpat and spread out most of the popcorn on the cookie sheet. I had a little left over in the bowl to make mixing it all easier. 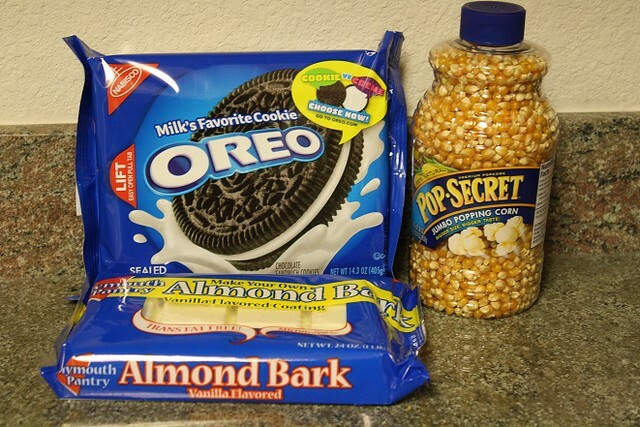 Then drizzle all of the almond bark over all of your popcorn and stir it a bit so each piece of popcorn is coated. 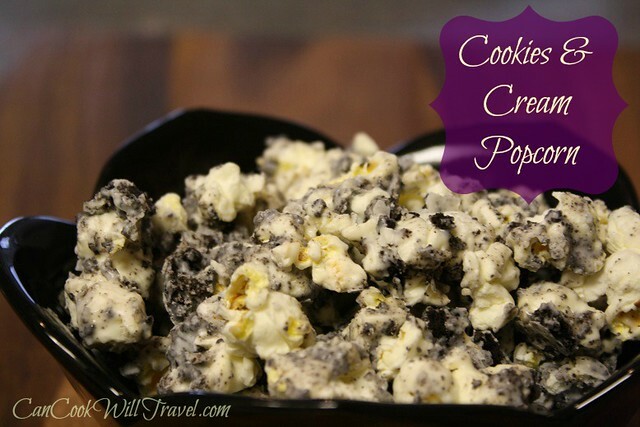 Then sprinkle the cookie crumbles over the popcorn. 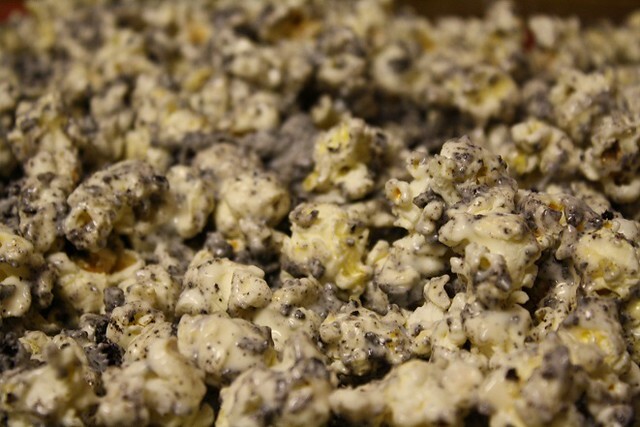 Stir the popcorn a bit so that each piece is coated in almond bark and cookie bits. Then walk away. You want the almond bark to set up before you touch it again. 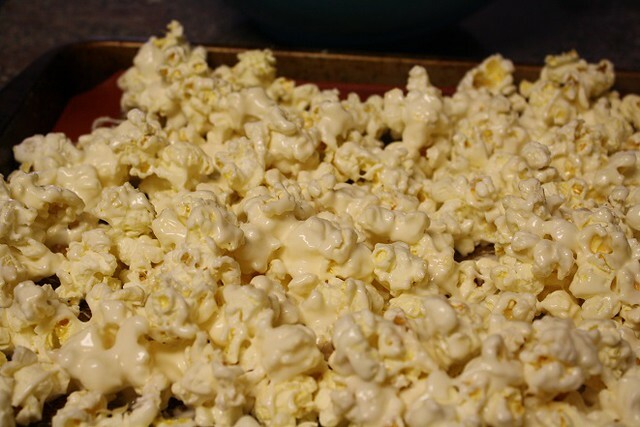 Once the mixture has set up on the popcorn (I waited about an hour), break the popcorn up. I stored it in plastic baggies and transported it to the party. 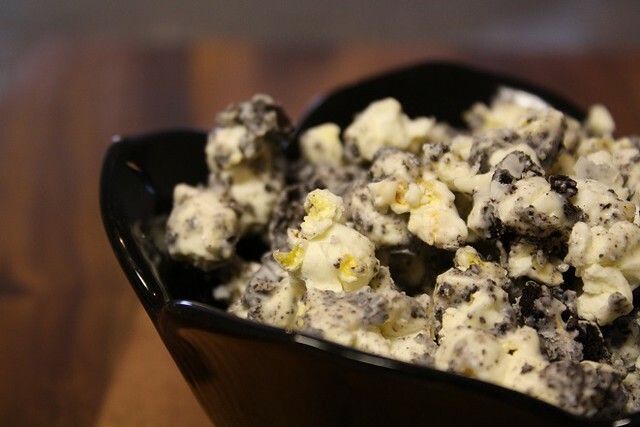 This popcorn was gobbled up and it was definitely a crowd-pleaser. Wow was it delicious!